TME’s offer has been enriched by supercapacitors from KEMET, a leading capacitor manufacturer. The new FC, FG, FS, FT, and FY series are available at TME. They are intended for both THT and SMD mounting. The supercapacitors are commonly used in voltage support systems, e.g. in RTC circuits, RAM, Flash, and motor drivers. They are available in the capacity range of 0.047 to 2.2F. They support two most commonly used voltage levels: 3.5V and 5.5V. What's more, TME's offer also includes supercapacitor kits, particularly useful for building new applications. 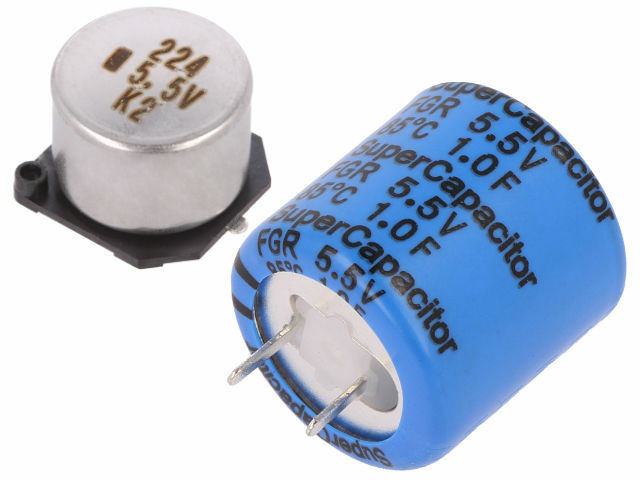 Check the full offer of supercapacitors from KEMET.